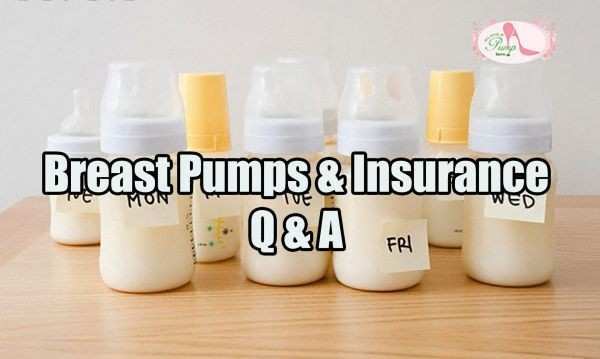 We have posted previously about breast pumps through insurance care providers. Specifically, we are concerned that pump manufacturer Medela may not be providing insurance care providers (and consequently moms) with the highest quality pumps as they have in the past. Both Priya and I have been tremendously vocal fans of Medela as a manufacturer and these concerns have us paying very close attention. We were able to speak with Kim Aasen, a member of Medela’s marketing team about our concerns. Below you will find the results of our questions and answer session. Q: What Medela pumps are most commonly covered by insurance? A: Medela is committed to providing a quality portfolio of breast pumps across all points of distribution. We offer health insurance plans a range of pumps for their members, but the insurance plan decides which pump a mom receives as part of her insurance benefit. Medela’s most commonly covered insurance pump is the Pump in Style Advanced Starter Kit (57081). The Pump in Style Advanced Starter Kit features Medela patented 2-Phase Expression technology. This configuration does not come with a carrying case or accessories. Medela also offers The Personal Double pump (57038). This single-phase technology model represents a small percentage of all Medela personal use double electric pumps sold and is being phased out at the end of 2015. Both single-phase and 2-Phase Expression technology offer mom a quality experience, however Medela’s product portfolio is moving toward two phase technology. Q: Why is Medela phasing out the Personal Double pump (model 57038)? A: Single-phase technology was the original foundation of Medela double electric breast pumps. Both single-phase and 2-Phase Expression technology offer mom a quality experience, however Medela’s product line is moving toward 2-Phase Expression technology, and this portfolio change reflects that. The decision to phase-out the Personal Double pump (model 57038) from Medela's product line was to offer our patented 2-Phase Expression technology, which was designed to mimic a baby’s natural nursing pattern, as our standard. Along with the Personal Double pump (model 57038), Medela is working toward phasing out the Lactina hospital grade breastpump in January of 2017, as this pump is also single-phase. While we stand behind the quality of all our products, Medela is constantly working to improve the pumping experience for breastfeeding moms. Q: Is Medela phasing out the Personal Double pump (model 57038) which features single-phase technology due to complaints? A: The Personal Double pump (model 57038) is not being phased-out due to complaints. This product portfolio change was approved at the beginning of 2015. Both single-phase and 2-Phase Expression technology offer mom a quality experience. However Medela’s product line has been moving toward 2-Phase Expression technology for some time, and this portfolio change reflects that. If moms have any questions about what pump they have or concerns about the performance of their pumps, we hope they will call our customer service line so we can offer them our support. That number is 1-800-435-8316. Once again, our mission is to help all moms be successful breastfeeding. We are here to support them, and we thank you for helping us both clarify confusion around the pumps and offer moms access to Medela’s support services. Q: Is there a resource on the Medela website for customers that want more information?